Sapphire growth furnace used tungsten crucible price Ø100xØ600x5mm with purity over 99.95% is 2,060.00USD/PC, FOB XIAMEN, CHINA, Feb. 7, 2017. 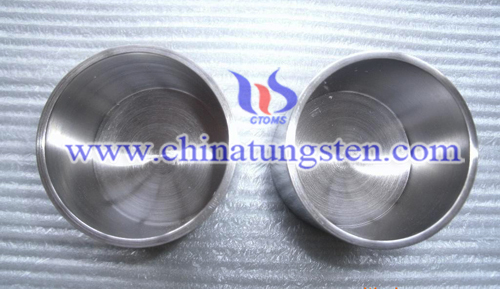 The MOQ of sapphire growth furnace used tungsten crucible is 1pc. The MOQ of sapphire growth furnace used tungsten nut is 100pcs. India is the world’s second most populated country, with huge market size and economic growth. The Indian government started to promote carbon emission reduction policies in October 2014, encouraging public to use LED bulbs to replace the current 750 million incandescent bulbs on the market. The Indian manufacturing industry is not particularly strong, hence most of the LED products on the market are mostly products with lower technical levels. In comparison to the European and North American market that have higher entry levels, Chinese manufacturers products exported to the Indian market can potentially be labelled as high-end products. However, competition in the Indian market is very intense. International LED manufacturers from U.S., Germany, Japan and South Korea are also contending for market shares. Currently, more than 300 million people in India live off the electricity grid. Local manufacturers lack core LED technologies, which has made the country highly reliant on LED luminaire imports. Compared to traditional luminaires, LED bulbs still have a much higher price tag. Most of India’s LED products are applied in outdoor lighting products, but civilian market demands have soared following economic developments, increased power coverage, and stabler power supplies. In 2012, the Indian LED lighting market value was estimated to value US $100 million, and consisted a very small 3-5% market share of the country’s total general lighting market. In the residential lighting market, most newly constructed complexes used LEDs, while existing CFL users’ willingness to switch to LEDs has been relatively low. Government projects is the main LED lighting market growth driver in India, and amounts for nearly 51% of orders. On the other hand, LED downlights, industrial lighting and other none residential lighting products have also introduced LED light sources. Countries promotion of LED lighting has strengthened in 2015, India especially has been striving to make bulbs more widespread. In early 2015, the country’s Press Information Bureau (PIB) announced the Bureau of Energy Efficiency (BEE), an arm of the nation’s Ministry of Power, will be partnering up with Energy Efficiency Services Limited (EESL) to roll out a LED bulb government tender and commercial model roadmap. More than 302 government agencies have joined the project, and over 186 cities have joined the household lighting and appliance LED lighting upgrade and replacement sector of the project. In the public lighting market sector, India is preparing to swap all conventional residential lighting and streetlight products to LEDs in more than 100 cities before March 2019. Presently, the country has more than 770 million bulbs, and some 35 million streetlight bulbs. It is believed government projects will make Indian LED market even more attractive to investors. Catalyzed by cities rapid urbanization and industrialization developments, the LED luminaire market value is estimated to reach US $1 billion by 2020. The LED streetlight market value is projected to reach US $41 million by 2015 to 2020. Additionally, to reduce its LED industry reliance on imports, the Indian government has issued two large semiconductor subsidies valuing US $2.5 billion, which encompasses De Core Science and Technologies fabs in Gujurat state. According to market insiders, the majority of LED chips in the country are supplied by Philips and Nichia. Philips market share in the Iocal lighting market reached 65%. Global manufacturers including Cree, Nichia, Samsung and Osram are also leading blue LED chip market developments in the country. Although, Taiwanese LED manufacturers Epistar and Everlight products have emerged in the Indian market, their overall market share remains low. It is foreseeable that Chinese manufacturers involvement in the Indian market will increase, following the rise of Chinese LED chip manufacturers and technology advancements that are making their products cost/performance (C/P) ratio increasingly evident. Everlight’s use of Chinese LED chips in its products being sold in the Indian market proves this trend, and they might acquire larger market share in the future. Egypt is Africa’s third largest economy, and the largest consumer market in Middle East and Africa. It is also one of the fastest growing emerging markets and economies. Egypt has signed free trade agreements with Middle East and other African countries indicating foreign investors in Egypt will also have access to neighboring regional markets. Potentially, the Middle East and African region combined has billions of consumers. Additionally, Egypt has a large volume of cheap labors. In regards to market size, the Egyptian government plans to save up RMB 20 billion (US $3.14 billion) in energy subsidies by 2020. The proposed subsidies are used to lower costs, and to make energy facilities more energy efficient. Lighting’s energy consumption amounts for 25% of the country’s energy consumption, while household and commercial lighting consumption makes up the majority 73%s. Hence, the country hopes to turn to professional smart lighting solutions to replace traditional lighting applications and reduce energy. Egypt plans to roll out a massive lighting upgrade after 2020, and use energy efficient products to replace traditional lighting. Government buildings, residential lighting and other regions and governorates outdoor lighting will all be replaced with LEDs. The country has procured 250 million LED bulbs for residential lighting applications. In addition, the government has promoted other LED lighting projects. The country’s Ministry of Electricity Energy will be issuing 1.7 million LED bulbs within the next four months, according a report from The Cairo Post in June this year. These bulbs will be distributed to nine provinces in Egypt, and believed to be one of the solutions to the country’s energy crisis issue. Severe power shortages have become frequent in the country in the aftermath of the Egyptian Revolution in 2011, and locals are becoming accustomed to two to three blackouts per day. Ministry of Electricity Energy is recommending public to use LED bulbs instead, and keep air condition temperatures above 25°C. At the same time it has asked public to refrain from operating multiple electronic equipment at the same time to help the country conserve energy. Egyptian government has promised it will be providing a part of these subsidies. Since they need to reduce their costs, benefits of the subsidies will be optimized. Additionally, manufacturers that establish factories in Egypt will be able to tap into a market with potentially 1.6 billion consumers, since the country has signed tariff free agreements with countries in Europe, Middle East and Africa. This is also to imply that the production of sapphire used to produce LED film will go up accordingly. UAE’s architectural industry is recovering after the disastrous real estate crash in 2008 that left the industry close to the brink of a crash. The reviving real estate market has created many new construction projects leading to a prospering lighting market. Additionally, the UAE population has increased steadily and is spurring rapid urbanization. These factors are driving the Middle East country to value environmental friendly products to control carbon emissions and energy conservation. In 2012, the UAE LED luminaire market value reached an estimated US $46 million to US$ 54 million, roughly equivalent to revenue generated from selling 1 million to 1.2 million luminaires, according to statistics compiled by LEDinside. In the following year, the LED lighting market share climbed up to about US $60 million to US $68 million. By 2014, the UAE LED lighting market is estimated to increase 23% to reach about US $ 78 million to US $82 million. International LED manufacturers Philips, GE and Osram have maintained their leading market positions in the country with a combined market share of more than 60% in 2014. The total value of LED lighting products exported to UAE reached US $70.92 million during first quarter of 2015, and amounted to about 1.9% of China’s total export value. The top three LED lighting products in the local market include ceiling lights, LED panel lights and LED downlights, which market shares are respectively 23.8%, 19.7% and 17.6%. As a result, the material of saphire used to produce LED film is increasing accordingly. In March, 2015, Huawei issuing the new watch in MWC conference, but still has not sale in market. According to the news of Huawei USA, the watch will issue in America soon with price of USD386.99. Huawei watch is promoting with a new idea of sapphire screen, which is also used by Apple by the high hardness of sapphire screen. The application of sapphire screen has been more and more popular. The main part for growing sapphire is tungsten crucible. Tungsten material is with performance of high melting point, so it will not react with sapphire under high temperature. As a result, the purity of sapphire can be assured. "Entering June, Apple's watch sales in the United States there have been cliff-style slump, the total sales volume per day is not even ten thousand, in addition to the price of more than ten thousand US dollars of gold version, total sales in the United States for less than 2,000." From these data, indeed better than the most pessimistic analysts initially predicted even pessimistic. For just this month for Apple contributed a sales me, now very tangled, and looking at the video section of Apple Watch already know how to do that carries it on the wrist. July 2 to buy Apple Wangfujing This 42mm stainless steel case with black strap button Classic models Apple Watch, just six days away from today, but I found this morning, top and bottom edges of the screen it suffered different degrees of scratches. Do not guess how I fell down or the result of a Colombian calcium foot again! Inexplicably appeared three scratches, since the shooting angle problem may not be obvious, but in reality it is dazzling. The piece of glass apples known as sapphire glass, anti-scratch ability only to diamond, Mohs hardness of 9 (the highest level 10), the absolute hardness of 400. Is such a "hard-nosed" screen was very careful in my everyday use, six days there have been three scratch, not a broken screen, broken screen, I recognized, broken pieces of more healthy, I direct exchange pieces of screen like. I seriously doubt Apple Watch this coupler sapphire glass screen for qualified, otherwise its biggest selling point feeling too weak. I do not know that the media are bad-mouthing, but the subway is also often the case to see some people wearing different styles of Apple Watch and everybody Apple Watch the screen right? Whether there have been cases of this screen I scratch? I am now somewhat regret not spend hundreds of dollars to buy AppleCare + full-service plan, obviously I was Apple's "sapphire glass screen" too confident, even though the clerk tried to convince me to buy this "additional insured." If only that the problem Apple Watch the screen, you might think I borrowed edit posts convenient self-serving, seeking only faster but Tucao their own tongue. I would simply talk about it less than a week for Apple Watch the experience and feel it. Although I had to buy a classic coin money, but when the campaign to wear, I bought a blue extra sporty strap, and found that indeed a wise move, sporty wearing comfort in my experience these day was significantly superior to leather strap, and thanks to blue wristbands wrists fashion, exercise a lot, the crowd refused to answer the phone, view the various settings of message alerts, even if only to see a time came loaded to force, can be successful in attracting the attention of people around, especially in the subway. However, in addition to the excellent wearing experience, but after the beginning of the pairing is successful, there is a two-day window period features, what does that mean? I pairing is successful, but I set telephone, text messaging, micro-channel, and so today headlines and ZAKER App message reminder can not be achieved, so the first two days I was just used as a watch, so that the benefits I found Its battery life is indeed a great improvement. General wear from morning to 22:00 more off, but also the remaining 50% -60% of the electricity. Then I try to disconnect the Bluetooth connection again, still can not message alerts; then I restart the phone, still no "beep" by; restart the watch is still no "beep" with ............ Finally, restore Apple Watch, unpairing After re-pair before it succeeds, as to why the two paired bring completely different effect, baffled. As part of the overall wearing experience said, it does in real life to my work and life of some facilities, such as when the office (especially if the code word) on the side of the phone often miss all kinds of information, especially micro-letters and calls. But then with Apple Watch, these situations are basically non-existent. Undoubtedly, it also increases the power consumption, more frequent operation of the day, if only the remaining 20% ​​of the power, then you can turn on the power saving mode, but in addition to at the time, other feature is disabled out. Another one for me to express the goodwill of Apple Watch is that it's perceived ability to do the extreme. Every time I see the screen just random nature of lifting the wrist to light up the screen, then down after the screen goes out, just in terms of saving electricity. Instead, released last year, Moto 360, etc., and other assorted Android Wear smart wristwatch will need to be very standard swing arm posture forced to light up the screen, think also quite intoxicating. Here to talk about Apple Watch proud of digital crown, tap into the APP interface, all of the APP will be in this show, which is intense phobia is your overblown Shenru that interface. If you want to choose to enter an APP, it need only make it to the middle of the screen and turn it clockwise to enter the digital watches (Of course, you also can click APP), including image scaling, etc. can also be realized by rotating it . Analysts pointed out that, as is currently the most widely used new materials, high degree of prosperity sapphire material is stretched, the market is expected to arouse again the concept of speculation for sapphires, industry leading varieties of concern. It is reported that Sapphire has excellent optical properties, machine performance and physical and chemical properties, high strength, hardness, resistance to erosion and a wide band optical penetration advantages of the future will be expected of the most widely used new materials has gradually been market acceptance. Currently sapphire material main application areas are LED substrate and an optical field, but also become the new darling of the consumer electronics market. Sapphire gradually into the low end from the high-end applications, the phone screen will be larger sapphire material future applications. In fact, Chinese companies have developed with independent intellectual property rights of sapphire crystal growth equipment, thousands of mobile phone users in the future also be used on sapphire, the market size is expected to erupt, according to the agency predicted that the global market size sapphire material from 2013's 1.47 billion yuan increase of 14.15 billion yuan in 2018. Publicly available data, sapphires used in LED, watches, jewelery, optical electronics and high-tech fields of energy per year growth rate of close to 10%, which is enough to make the materials and equipment in the field of corporate profit growth. Currently, both the long-grain production, or cutting, grinding, polishing, and many other industrial chain business, seem to have a keen opportunity to see the outbreak and have been or are entering the sapphire industry. Another good news is that smart watches, smart phone market for voice sapphire applications become more sophisticated, participate millet, Huawei, ZTE, Lenovo, ViVo, and many other companies, the market has injected fresh vitality but with blood, This also allows the sapphire industry chain enterprises excited. Moreover, with the world's major countries and the policy took effect incandescent disabled people to enhance awareness of energy saving, LED lighting market ushered in the outbreak, which will fully promote the recovery in demand for sapphire substrate. It is reported that Sapphire has excellent optical properties, machine performance and physical and chemical properties, high strength, hardness, resistance to erosion and a wide band optical penetration advantages of the future will be expected of the most widely used new materials has gradually been market acceptance. Currently sapphire material main application areas are LED substrate and an optical field, but also become the new darling of the consumer electronics market. Sapphire gradually into the low end from the high-end applications, the phone screen will be larger sapphire material future applications. In fact, Chinese companies have developed with independent intellectual property rights of sapphire crystal growth equipment, thousands of mobile phone users in the future also be used on sapphire, the market size is expected to erupt, according to the agency predicted that the global market size sapphire material from 2013 1.47 billion yuan in 2018 increased to 14.15 billion yuan. Investment opportunities, some analysts have said that the future development of the sapphire industry is vast, related industrial chain enterprises is expected to be sought after market funds. Insiders said that the sapphire industry into an increasing amount of Lizzie good time, and now this time, we maintain the view of the same, even the phone to protect the screen prospects, but also optimistic than we expected. Blue Synopsys listed fund-raising soon after the start of additional projects, fund-raising 6 billion, of which 3.4 billion will be invested sapphire fields, while Byrne also continued an additional subsidiary to a joint venture specializing in the production of sapphire Byrne Roshow investment, Apple's two major glass processing providers are clearly determined more clearly Apple sapphire cover for mobile phones on the market than most people. Apple phones largest foundry Foxconn to enter the sapphire industry is determined to win, it is a strong signal. This conclusion seems to be just on the price trend of the sapphire substrate we observed there is a conflict, the price of the 2-inch ingot fallen compared to nearly 50% over the same period last year, which is why? This involves the sapphire is actually a hierarchical market reasons. Only observation of the substrate market, beguilingly 4-inch ingot prices fall even more severe than 2 inches, but if you compare 2Q 2014 market prices high, 2-inch decline to 48%, far exceeding the 4-inch decline 38%. To explain this phenomenon to build a simple model to illustrate the current dig rods sapphire industry in general way, we are the first to dig dig 4 inches 2 inches, corresponding to the different crystal, a fixed optimum dig rod scheme, production 4 Meanwhile inch ingot, the proportion of associated and other production will be 2 inch boule, so 2-inch and 4-inch production or supply is said to be a complementary relationship. From the demand perspective, the current manufacturers are most extension capacity from 2 inches to 4 inches switch. 2-inch and 4-inch requirement is an alternative relationship. Korea will be the first epitaxial manufacturers to switch production to 4-inch and 6-inch, so the Korean system vendors sapphire epitaxial vendor associated production out of 2 inches of the ingot had been in China for the export market. However, with Chinese manufacturers such as Saman, Huacan capacity have begun to shift most of the time 4-inch, 2 inches more sharply reduced market demand. As shown in Figure 4 inch when demand for the D4, 2 inches demand for the D2, at a time when the market in order to meet the needs of 4-inch, will produce a number of 4-inch S4, S2 simultaneously have to produce a number of associated 2-inch, At this point, the market supply far more than 2 inches 2 inches of demand, the excess amount is (S2-D2). Conversion to the time axis, we can see that over time, 2-inch and 4-inch demands presented inversely related, and 2-inch and 4-inch supply is positively correlated, and more to the latter, 2 inches of excess supply the more severe cases. It is foreseeable that the demand 2-inch substrate sheet of the future will be a disappearing market, how to dig after the 4-inch stick the rest of the ingot use other ways to do more to enhance the added value is worth further study. But also because the market is hierarchical, so if we turn to observe the market demand for mobile phone cover, you will find a completely different quite different. The market's supply and demand, the main problem lies in the production of sapphire industry can currently far from meeting as a mass consumer demand for hundreds of millions of phones a year, so now handset makers, including Apple introduced only very limited number of limited edition. The next period of time, the entire supply chain to do sapphire are continuing to increase production capacity to meet the reserve capacity as a mass product desired. Sapphire market supply and demand in the future be made in the two cases modeling and prediction, without considering the needs of the mobile phone cover case, sapphire market have a certain degree of overall oversupply, but demand still accounted LED substrate continued to decline, Applewatch table cover market demand, accounting and other window films will continue to improve, but not enough to absorb the whole industry supply pressure. Under another scenario, taking into account the mobile phone application sapphire protecting the screen, if possible in 2016 APPLE sapphire protect the screen will import iPhone7, the sapphire optics applications will quickly take off. Not only have the opportunity to go on the market of excess production capacity, even resulting in 2016 and 2017 short-term shortage. Just need to guard against is that for businesses, in a single customer accounted for is too high, companies will face some risks. While the sapphire industry, the future is still the biggest variable iPhone, most of the market needs of the entire industry, a product from a company, is undoubtedly the greatest risk of this industry will face.